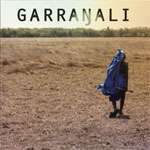 Garrangali Band sings in English and Yolngu. Portrait of a singer of Garrangali. The CD album is complemented by a DVD that includes music videos of two featured songs, Mungurru and Muthi Muthi, shot on location.